Medicare Shoppers: Pay Less for Rx! 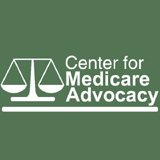 Want to lower the costs of Medicare for all beneficiaries and taxpayers? Lower the prices Medicare pays for prescription drugs! Like Medicaid and the Veterans Administration – Medicare should negotiate discounts for all beneficiaries. This would save over $200 Billion over the next 10 years. It’s time to end the Bush era gift to the pharmaceutical industry, which got 50 million new customers when Medicare began covering drugs in 2006, without being asked to lower prices in return. Walmart and Costco negotiate prices for all their customers, that’s how their customers pay less. Medicare should do no less for its “customers.” Surely older people, people with disabilities and taxpayers deserve the kind of consideration given to Walmart shoppers. As described in his State of the Union address, the President’s blueprint for a lasting economy is both necessary and commendable. An essential part of that blueprint is ensuring all Americans have access to high-quality, affordable health care. As the President stated, we need to ensure that Medicare “remain[s] a guarantee of security” for older Americans and individuals with disabilities. When private insurance let older people down in the 1960s, Americans embraced the President’s theme of “shared responsibility” to care for our most vulnerable citizens by creating Medicare. While the economic security of the middle class has declined for decades, Medicare has dramatically enhanced the economic and health security of hundreds of millions of older Americans and people with disabilities. And yet, the future of Medicare hangs in the balance as members of Congress discuss ways to privatize Medicare and diminish the security it provides for middle class families.